In the 19th century, the people of Edo, Japan were treated to what would eventually become a modern food phenomenon – sushi. More specifically, a little seaweed wrapped around some rice and fish became a bit of healthy fast food that people could carry anywhere. Nowadays, most people don’t eat this Japanese staple on the run. To go out for this type of Japanese meal is considered a special treat for some. What most people don’t really think about when they head out for a good California roll and some mahi mahi is that this type of eating can actually be good for you. That’s right. This Japanese treat tastes great and offers some amazing health benefits, too. 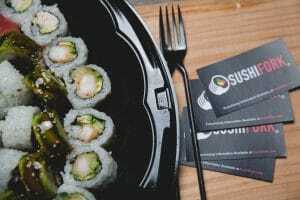 If you are trying to eat more carefully and want to know more about some of the benefits of eating sushi, read on. For those not in the know, Nori is the seaweed that forms the outer wrap for many of your favorite sushi dishes. It serves as a delicious wrap for your fish, rice, and vegetables. 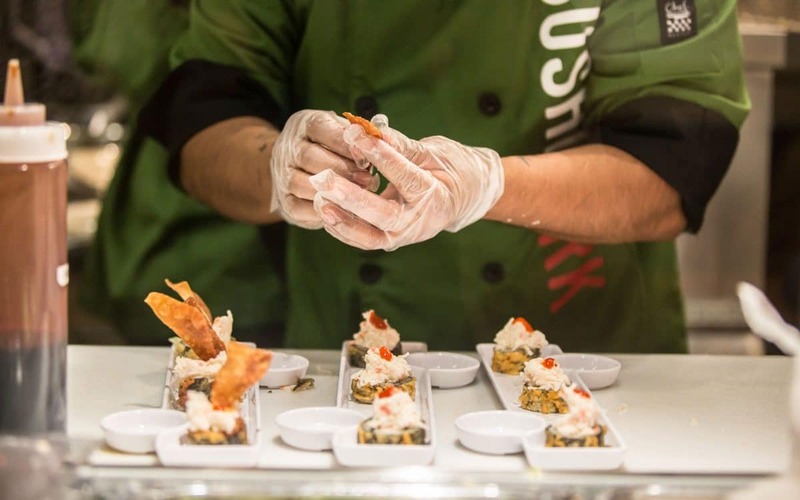 It also provides vegan sushi items with the flavor of fish without the fish. 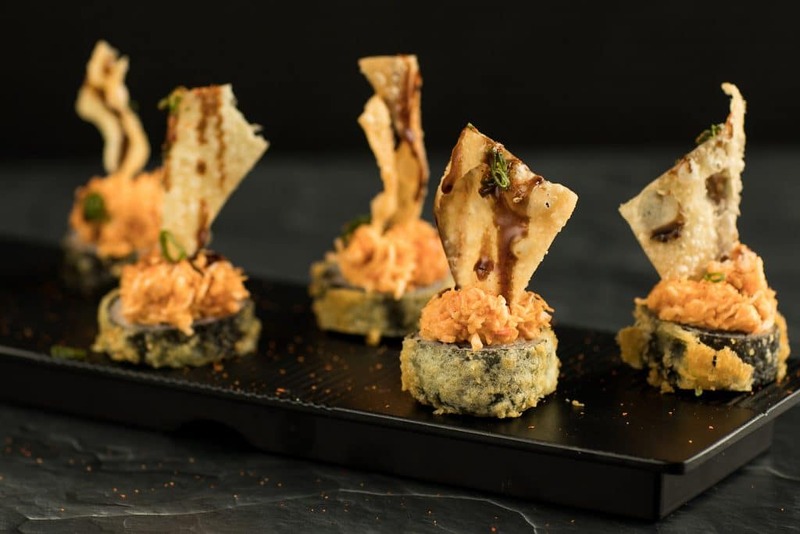 However, more importantly, if you’ve determined that your diet lacks the proper nutrients to maintain good health, then definitely make sure you order Japanese food with seaweed. It’s a rich source of vitamins A, B-6, and C. It also adds some important minerals, like iodine into the diet. This mineral helps the body maintain hormonal balance. Specifically, your thyroid’s health depends on having the right amount of iodine. In other words, without it, your metabolism and other hormonal systems start to go haywire. A diet filled with fish and seaweed brings with it a big dose of omega-3 fatty acids. These nutrient alleviate a number of health issues. Having the proper amount of omega-3s helps keep depression and anxiety away. These fatty acids have also been shown to improve other brain-related issues as well. People who struggle with ADHD derive great benefit from eating a diet abundant in omega-3 fatty acids. They also help those who struggle with high blood pressure and heart disease. The omega-3s make the blood “less sticky,” which helps to prevent blood clots. Additionally, omega-3s are said to help the body remove plaque from the arteries. Finally, in addition to the iodine found in the seaweed, the omega-3s in sushi act as a good countermeasure to metabolic syndrome. These fatty acids help reduce inflammation and insulin resistance, which cause metabolic problems. Veganism is on the rise. It has been named one of the healthy trends for 2018. However, to call it a trend doesn’t really address how quickly or how much plant-based diets have gained in popularity. In the U.S. alone, the number of people who identify themselves as vegans has increased by a whopping 600% over the last several years. As of 2017, at least 6% of the population in America identify as plant-eaters. However, finding plant-based foods in restaurants can still be a bit tricky. Many vegans can choose salad or maybe pasta. Many don’t go out because they can’t find suitable foods to eat to support their new lifestyle. The good news is Asian food and Japanese specifically have some excellent offerings for those who eat a plant-based diets. Most Japanese restaurants offer dishes like avocado, cucumber, or vegetable rolls. Others will make sweet potato rolls. 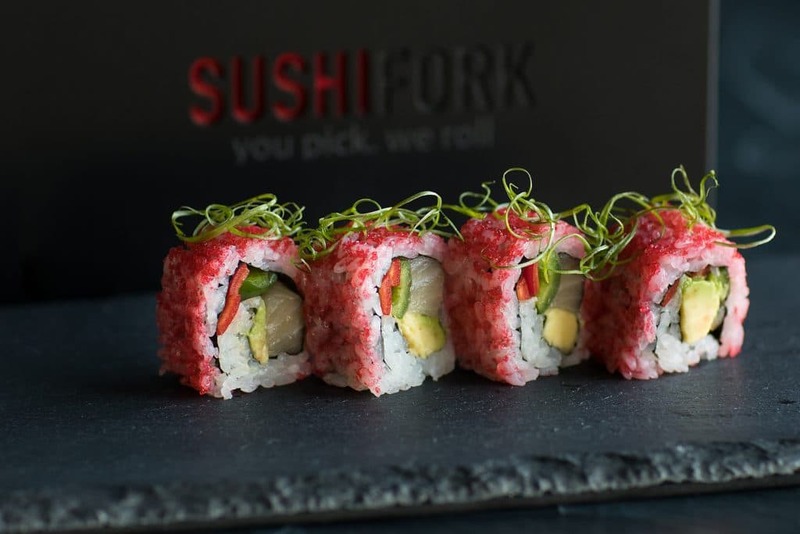 As well, diners in these sushi restaurants can find plenty of steamed vegetable dishes and other offerings, making a night out at the sushi restaurant a very viable option for the plant-eaters among us. Sushi offers you a number of benefits. The combination of the fish and seaweed give the body some healthy doses of fatty acids and minerals to keep it healthy. The omega-3s in sushi can help to alleviate conditions, like heart disease or ADHD. 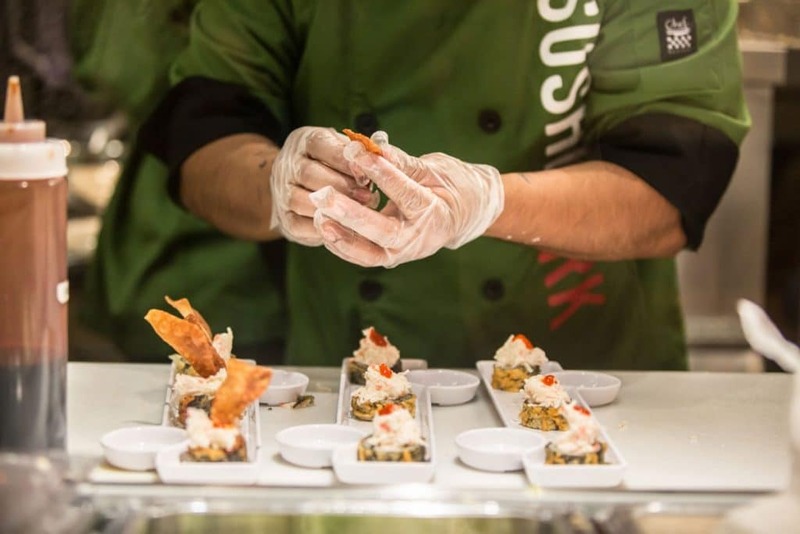 It’s also a viable option for plant-based eaters: Many Japanese restaurants make vegan sushi options, like cucumber or sweet potato rolls. These food options give those who eat a plant-based diet more restaurant options to choose from. Finally, eating sushi can help you lose weight by ensuring that you have the proper amount of iodine, as well as omega-3s, both of which ensure a healthy metabolism. Eating sushi counts as a delicious way for you to satisfy your taste buds and your health. 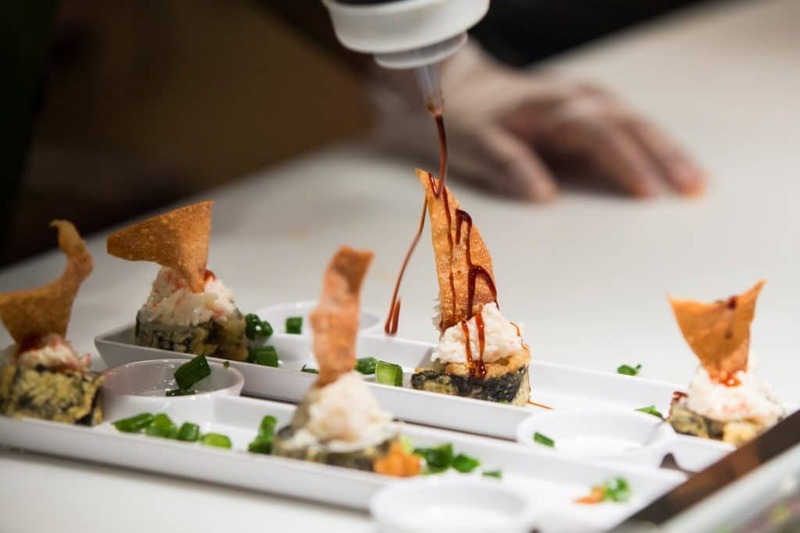 Visit your favorite sushi restaurant in Tulsa today!